I understand that there are a lot of people out there who don’t particularly find reading an interesting way to spend your evenings. I mean, I cannot see myself turning down a book in favor of a night out or any other activity, but I understand the concept of other people doing it. Thus, in my quest of finding the next great book, which will keep me glued to my kindle for at least a couple of weeks, I took it to Google for some recommendations. I admit, I didn’t have a clue as to what genre I was looking for, but usually if the short description intrigues me, I will buy/download it and read it (because momma didn’t raise a quitter). This is what happened with this month’s book. I kept seeing ads in local book stores, a few even on Facebook, but the title just wasn’t saying anything to me, so I avoided it for a few weeks. That was, of course, until I finished reading the book I was reading, and ran out of ideas. So I googled the title (like any respectable millennial would do in this situation). 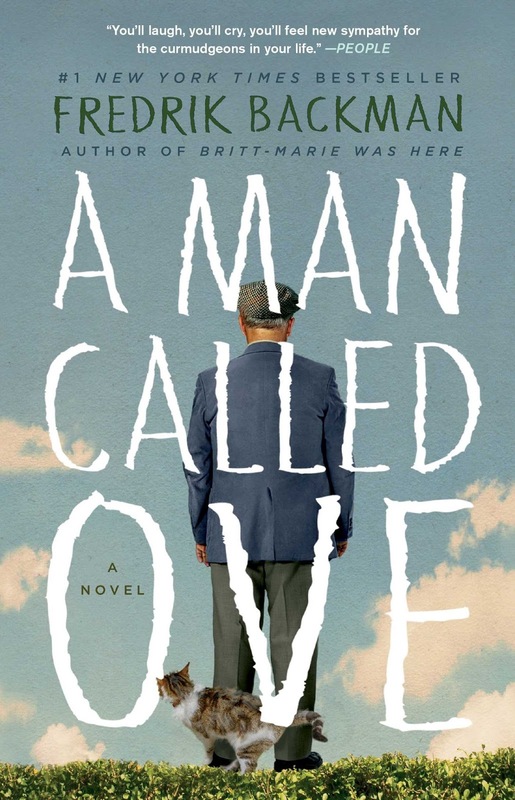 “A man called Ove” – by Fredrik Backman: Meet Ove. He’s a curmudgeon—the kind of man who points at people he dislikes as if they were burglars caught outside his bedroom window. He has staunch principles, strict routines, and a short fuse. People call him “the bitter neighbor from hell.” But must Ove be bitter just because he doesn’t walk around with a smile plastered to his face all the time? Behind the cranky exterior there is a story and a sadness. So when one November morning a chatty young couple with two chatty young daughters move in next door and accidentally flatten Ove’s mailbox, it is the lead-in to a comical and heartwarming tale of unkempt cats, unexpected friendship, and the ancient art of backing up a U-Haul. All of which will change one cranky old man and a local residents’ association to their very foundations. I was intrigued. Curious. Maybe even a little excited, because a cranky old man is (usually) an endless source of comedy, these days. So I started reading. I couldn’t put it down, even if at times it seemed like the narrator was repeating himself, I was convinced it was all leading to something which will explain it all. And I was right. The book is written in such a manner that you cannot put two and two together until the author wants you to and, when he does, you will most likely say to yourself “Oh my God, why didn’t I think of that?” or “Oh my God, I was not expecting that…”. What I liked most about this book is that it covers so well some subjects which are usually avoided, like despair, an old man’s loneliness, loss, suicide and, overall, the amount of good a broken person can do. Seeing how Ove, a very grumpy, sort of narrow-minded man, can be such a helpful person, someone who would drive you to the hospital if you needed it and who wouldn’t let you pay for the parking ticket he got while waiting for you, made my heart warm and fuzzy and, by the end, I could not help but to love this man with all my heart (granted, he might remember me of my late grandfather). I couldn’t recommend this book enough, but I have to make a disclaimer: it can be a little hard to process, here and there, if any of the subjects covered hit too close to home. I’m not exactly an overly-emotional person, but some paragraphs got me a little too close to tears. Overall, this book had an impact on me, and I loved every single part of it, be it happy or sad. If you are looking for a funny book with emotional moments (or a deep/dark book with funny moments, depends on how you look at it – it’s quite balanced, as a whole), “A man called Ove” is the book for you.